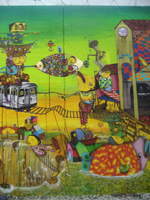 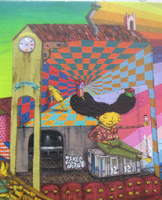 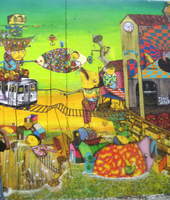 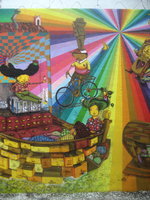 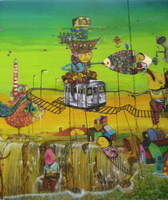 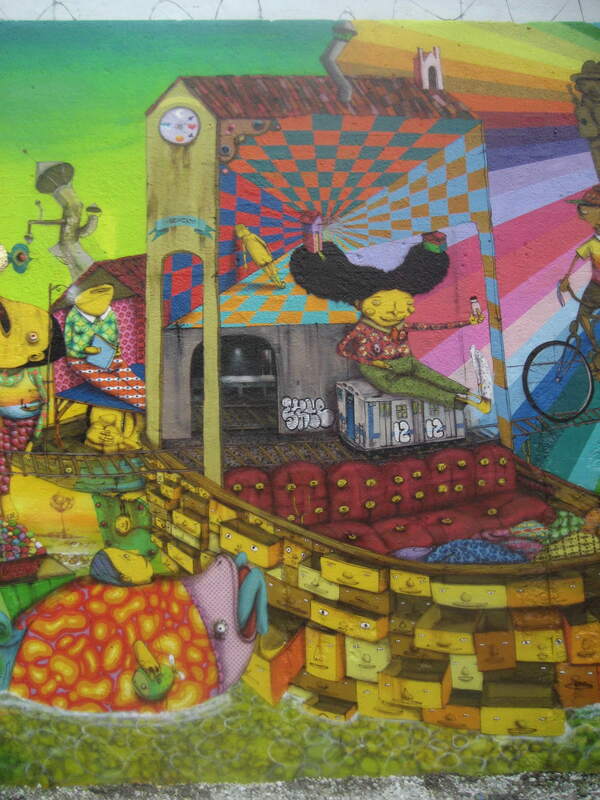 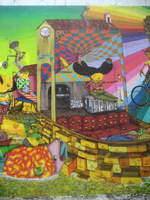 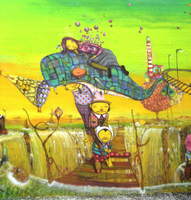 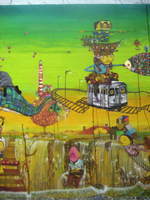 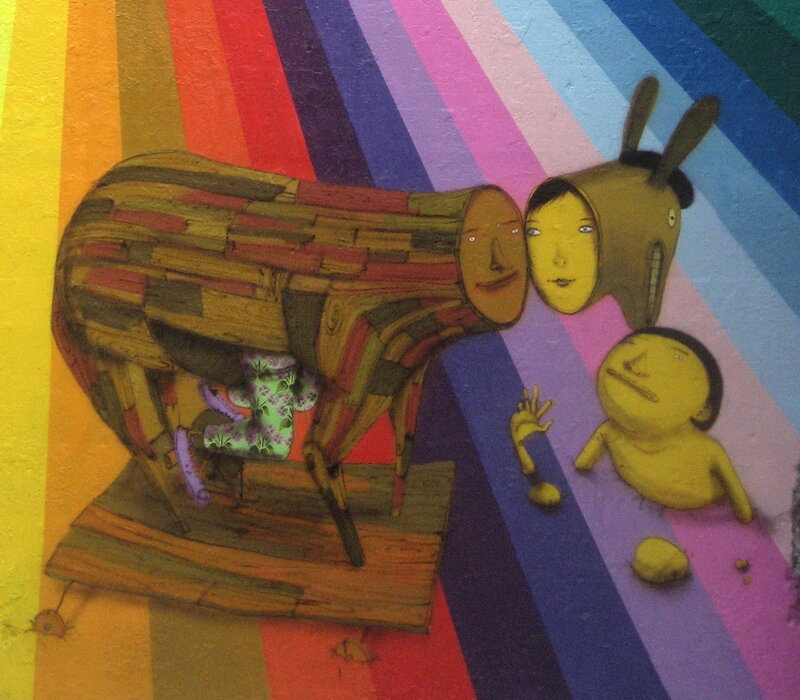 Art © copyright 2009, Os Gemeos fiz@uol.com.br . 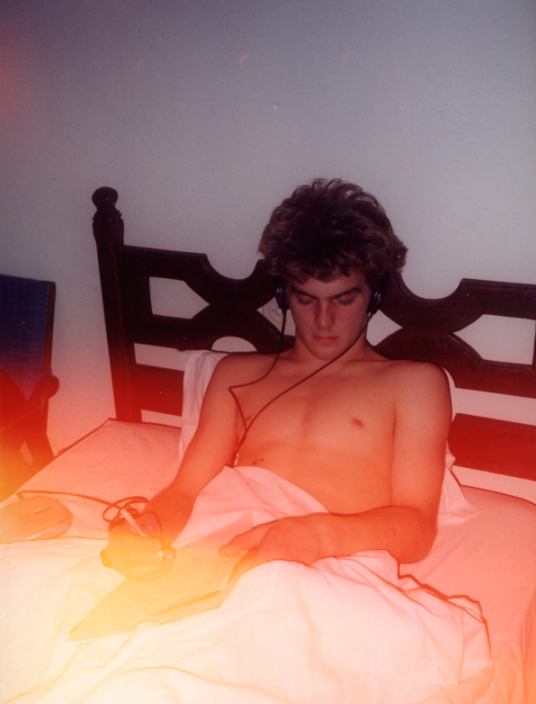 Photos by Brett Webb. 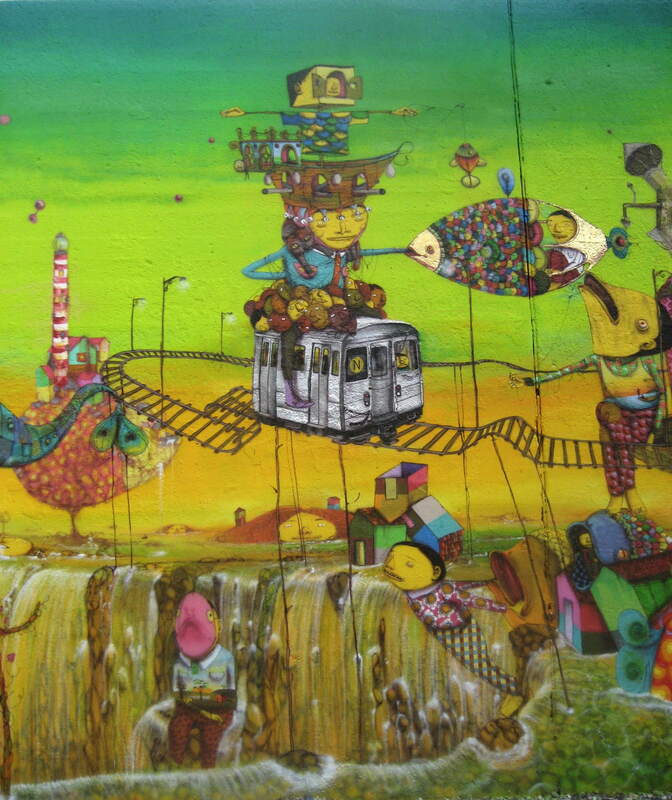 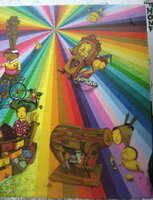 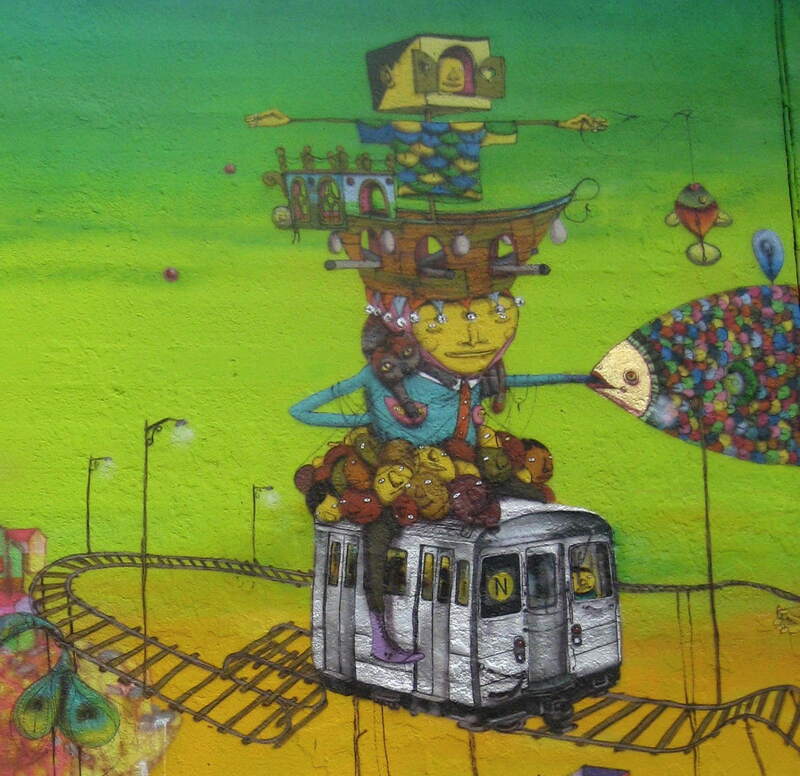 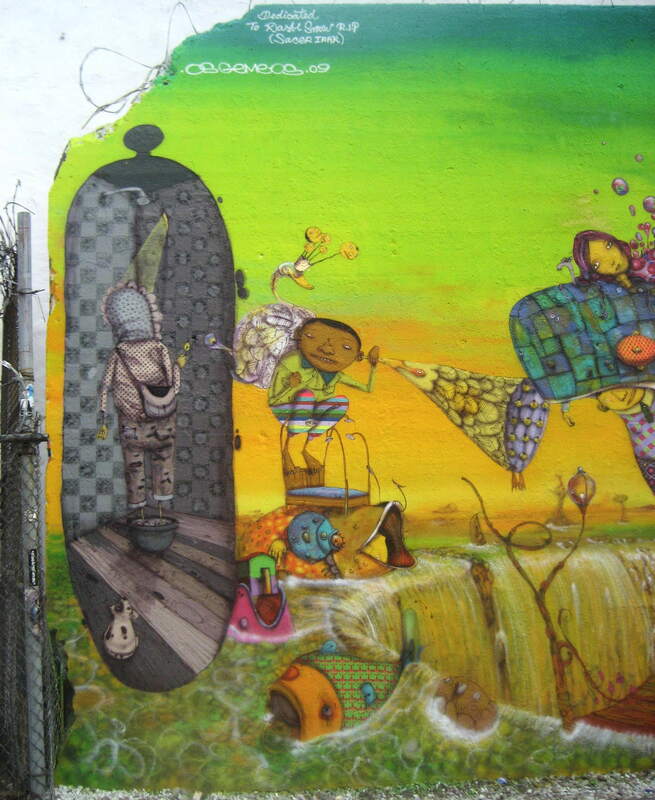 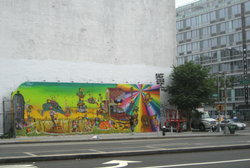 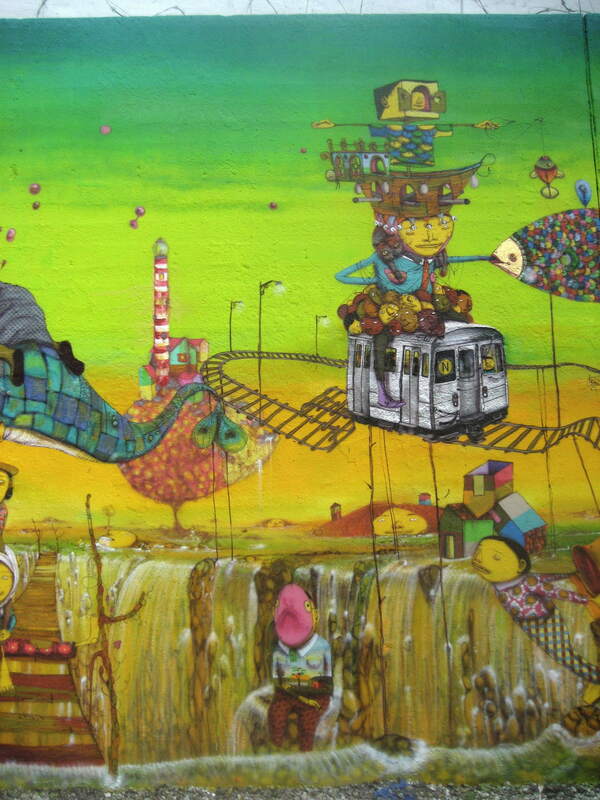 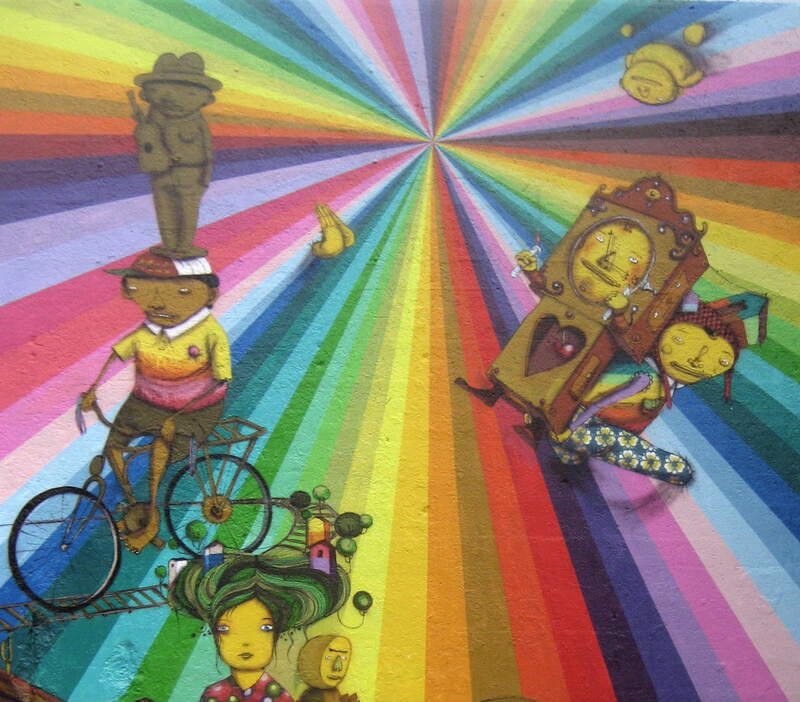 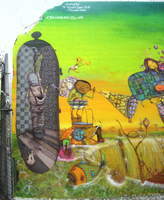 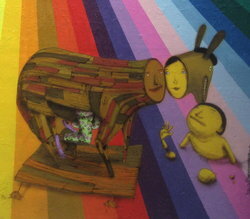 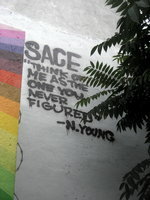 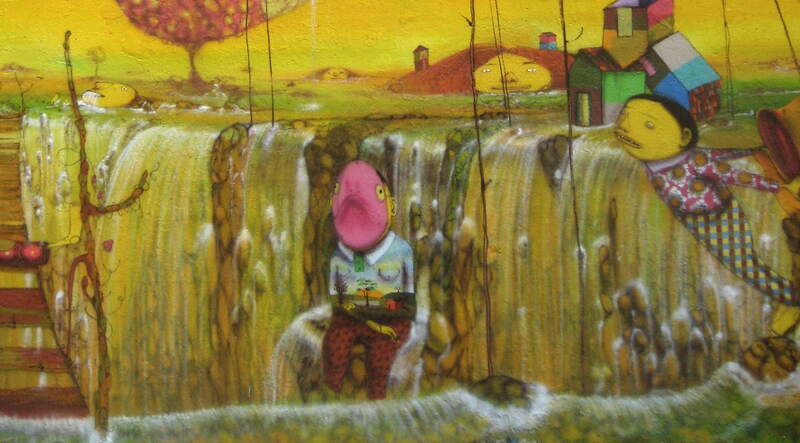 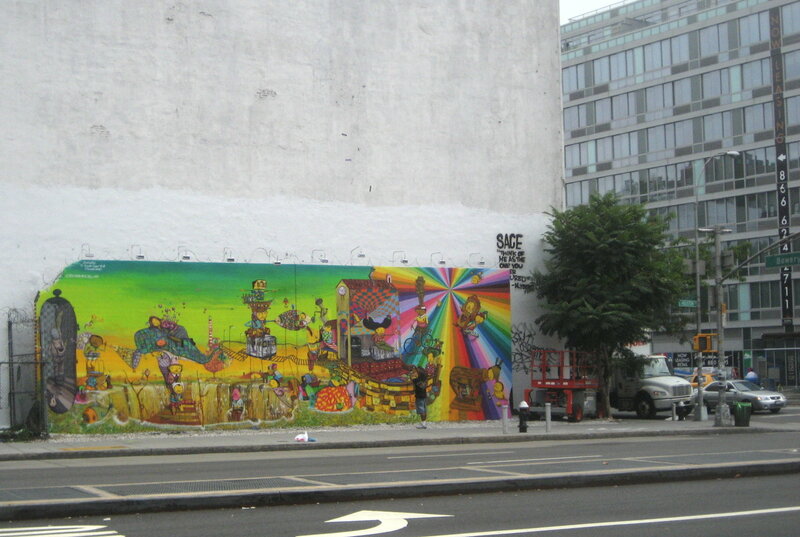 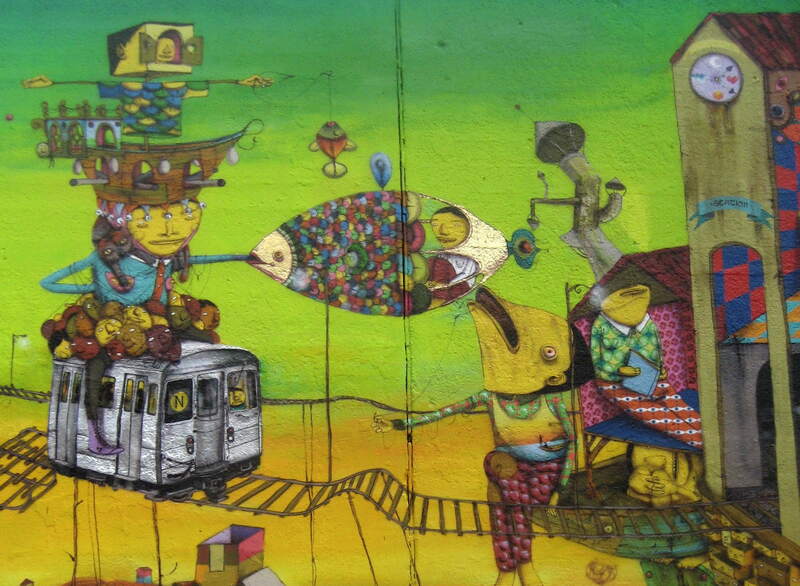 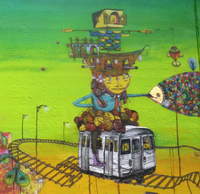 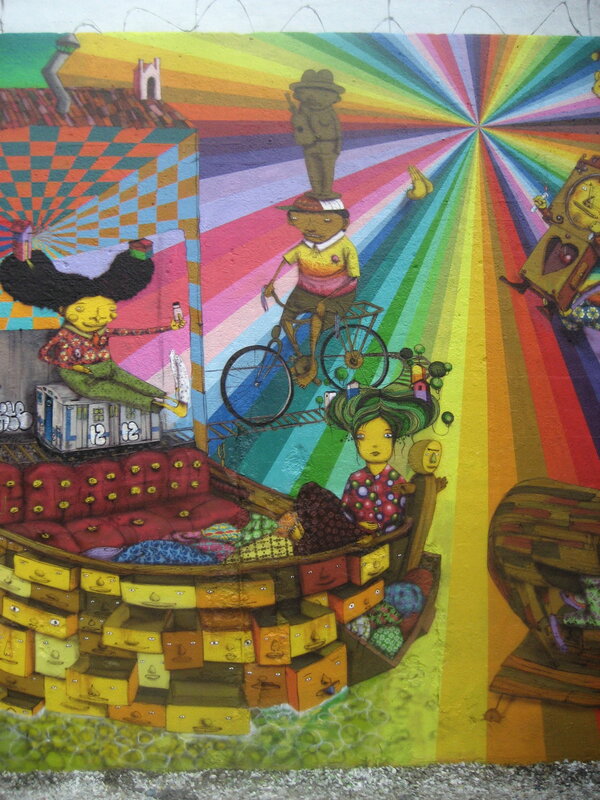 This mural was done in New York City, July 2009 by Os Gemeos (Sao Paulo, Brazil). 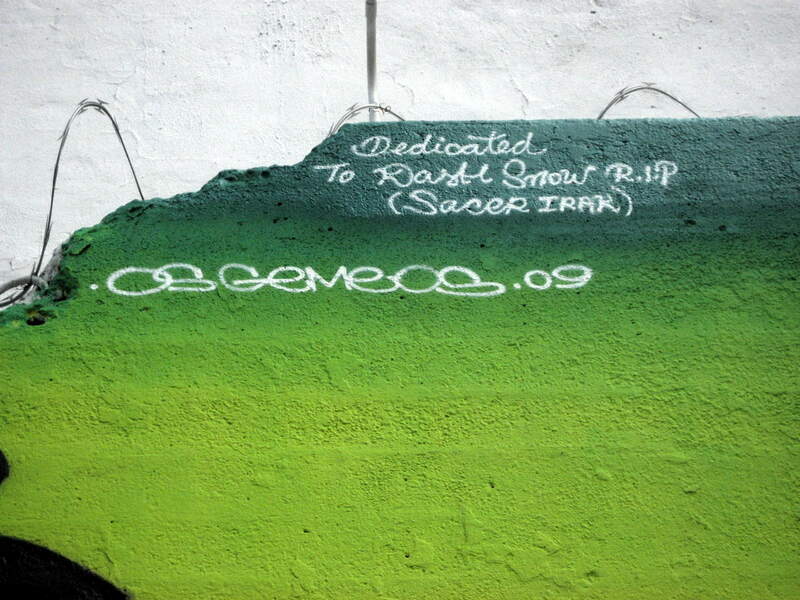 It is dedicated to Dash Snow (RIP) aka Sacer.IRAK, who died during its production. 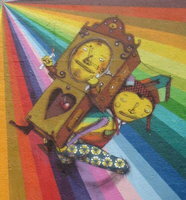 Dash and Os Gemeos - Carcavelos, Portugal, 1997.